Each month, we take a look at a student society and what we love about them. 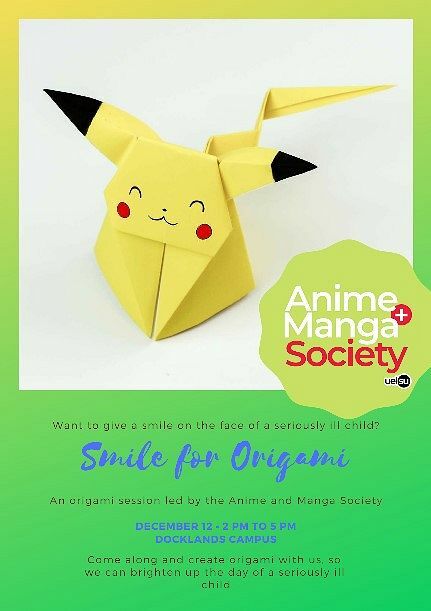 This month, we’re showing some love for the Anime and Manga Society. 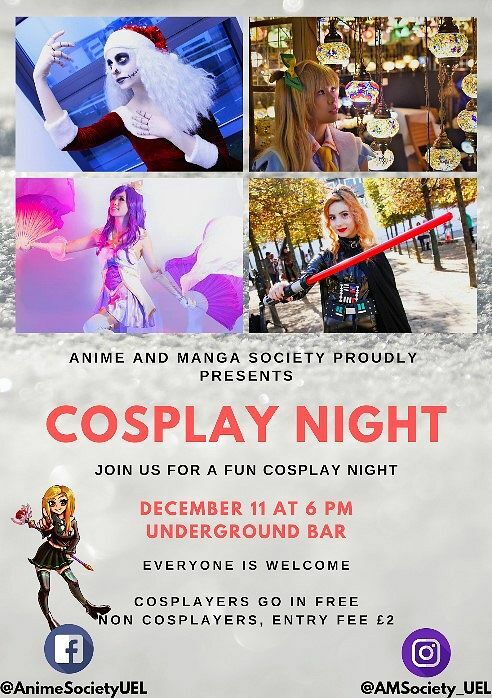 Anime and Manga have over 200 members, which is outstanding for any society in the first few months of term. They have put on an endless series of varied events (see photos) to cater for all members and students. Their president was an amazing SU Hero all throughout the Fresher’s period and the committee are consistently looking at better ways to develop not only their society but the Union and running of societies. 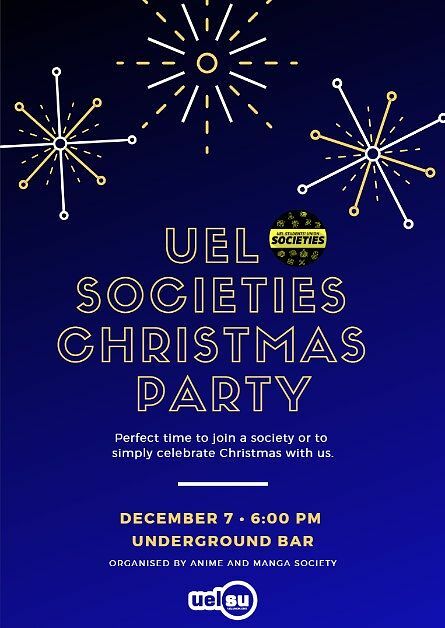 They will be collaborating with the Union on an Ultraviolet Snow Party on Friday 7 December for all societies and students. To find out more about them, contact them on social media using the links in their events posters below.